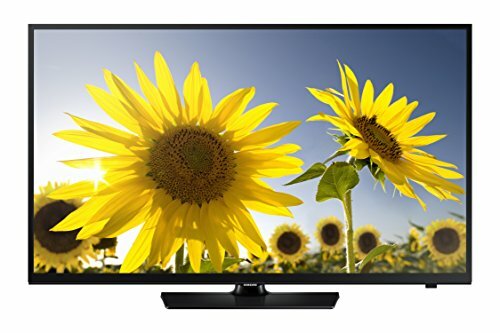 This TV is great for any kind of use- it is most recommended for those who have a Roku or another internet connecting the device. It is not a smart TV, but it has the capability to work best with these types of devices. The HDTV is a standout feature and definitely a reason to invest in the Samsung UN48H005- it looks great and is perfect for movies, TV or gaming. One of the most notable features is Connect Share, which allows you to play easily videos, pictures and music via the USB port on the TV. This is a huge plus with the TV because it is literally the easiest thing to figure out and it figures out what you are plugging in and what you need to use it for- you do not have to fiddle with settings and find a way to open the things once they are plugged in. There are adequate plug-ins available for whatever devices or systems you may have. The placement of the USB and other plugs is unfortunate, and it seems like it was not thought out, but it is workable. They are just not in an easy place to access so if you are wanting to plug and unplug things often it can become tedious and frustrating. The cosmetic appeal of this TV is good, not the greatest of them all, but it definitely does look clean and nice. It seems rather thick for a new TV, but it is not heavy or terribly bulky, so it is still pretty easy to mount or place wherever it needs to go. It just does not look as thin and streamlined as a lot of the other new TVs out there. However, it is nearly indestructible and seems to be extra strong because of this. The display is really nice and sharp for the most part. Sometimes the image kind of fades out a little bit at certain angles so it is best to have the seating arrangement mostly straight in front of the TV or else people will be missing things. It also has an issue with contrast, but that is slightly fixable if you change the settings on the display. The audio is good for this TV model. It is not spectacular, but that is to be expected with a low-key TV like this. There are less frills and gadgets, but there are plenty of ways to add on to the sound experience by setting up speakers and such. One big plus about the audio is that it can get really loud. A lot of TVs with built-in systems do not get loud enough on their own, and it is impossible to hear conversations sometimes. This one gets very loud.